Mali has taken an important step forward by holding the first round of legislative elections. These elections speak volumes about the resilience of Mali's democratic tradition and the progress it has made over the past two years. 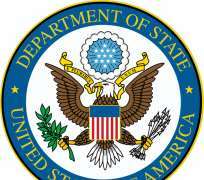 The United States applauds the Government of Mali for the technical improvements to the voting process it has implemented since the presidential elections in July and August. We call on Mali's new government to build on these efforts in preparing for an anticipated second round of legislative elections on December 15, and we encourage the Malian people's peaceful and active participation in those polls. This is one step in the process of restoring Mali's representative and tolerant political order. Mali's new government must address the country's most pressing challenges, including national reconciliation and security sector reform to ensure strong security institutions under civilian control and oversight. The United States stands with the Malian people, President Keita, and the new legislature as they tackle these challenges.